Highlight the lower boundary of the eyebrows with a pencil. 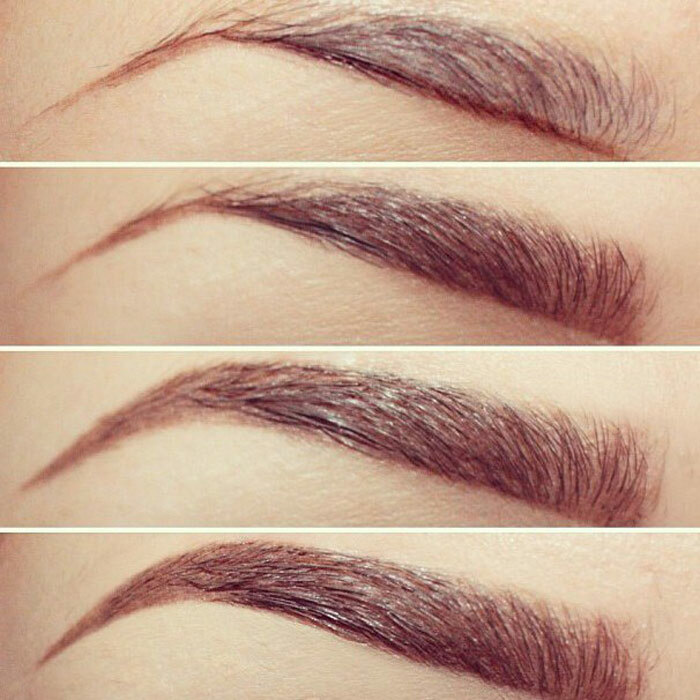 Fill the central part of eyebrows with shadows and slightly stain the head of your eyebrows with a beveled brush, blending the shadows closer to the nasal bridge (this is the only place along the eyebrows where you cannot have a sharp boundary under any circumstances, if you are trying to do everyday makeup). Draw a tail with a pencil and comb the eyebrows with a brush. Fix the eyebrows with wax or eyebrow gel. You can use transparent gel or the one with a slight pearl effect – it will add more volume to the eyebrows and will make them visually denser.